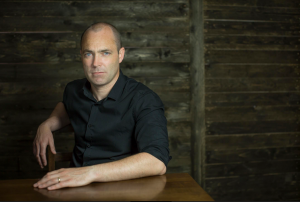 Donal Ryan, multiple-award winning author of ‘The Spinning Heart’ (Irish Book of the Decade) has been appointed by the University of Limerick as a Lecturer in Creative Writing. He joins a programme led by acclaimed novelist and Frank McCourt Chair of Creative Writing, Joseph O’Connor, featuring celebrated authors and fellow teachers Giles Foden and Sarah Moore Fitzgerald. Donal Ryan’s ‘The Spinning Heart’ was an Irish and American bestseller, was longlisted for the Man Booker Prize, and has been optioned for television by the BBC. In addition, he has written the warmly received novels ‘The Thing About December’ and ‘All We Shall Know’ and the short story collection ‘A Slanting of the Sun’. He has been described by John Burnside in The Guardian as ‘one of the finest writers working in Ireland today’. He is currently finishing a novel set partly in Ireland and Syria. Donal Ryan’s many awards include The Guardian First Book Award, the Irish Book Award for Short Story of the Year and the EU Prize for Literature. His work has been translated into several languages and appears on the Leaving Certificate curriculum. He held the Arts Council Writer’s Fellowship at UL, 2015, and has taught on UL’s annual Frank McCourt Creative Writing Summer School at NYU. A native of Nenagh, County Tipperary, Donal lives in Limerick with his wife Anne Marie and their two children.